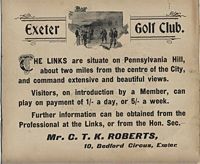 The newspapers at that time had many articles about golf clubs in Sidmouth, Exmouth, Torquay and elsewhere – Exeter really was dragging its heels, in forming a club. On the 4 October, the first Annual General Meeting was held for the new club. 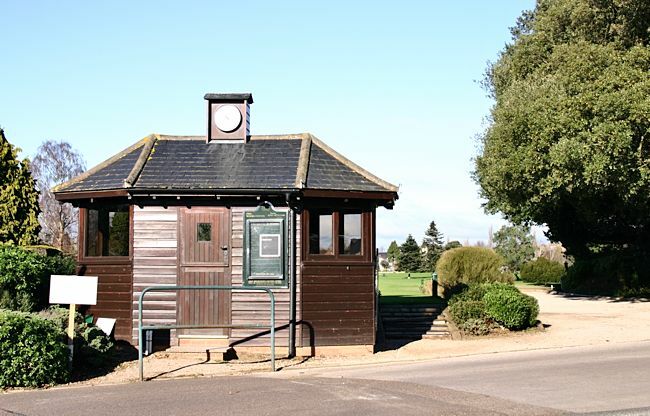 Later in October, a special meeting was held, with the Mayor, at the Guildhall, when it was considered that the farmhouse at the end of the links was not convenient to members and a purpose built club house was needed. It was agreed to raise £250, for the new building, by issuing £5 and £10 debentures. The committee considered that an expenditure of £120 to £150 would suffice. It was also announced that the links were formally available for play from the 2 November. In March 1896, a small advert in the Western Times advised the club's members that it was not open. EXETER GOLF CLUB. In consequence of the inclemency of the weather during the past few days, the EXETER GOLF LINKS will be CLOSED for play until Saturday next, 14th inst. On the 11 April 1896, the Mayor, Alderman Robert Pople presided over the opening of the club house, when he proposed a toast "Success to the club." The first match, against Seaton was played, which Exeter won by seventeen points. During the afternoon mixed foursomes were played while the whole occasion was accompanied with music from the 1st R V Band and tea was provided by Palmer and Edwards. Some of those present included the Earl and Countess of Iddesleigh, Viscount St Cyres, Lady Elizabeth Northcote, Mr and Mrs Walter Pring, ex-mayor Mr A S Perkins, Colonel Harding and Captain Johnson. The club was organised by the professional, Mr Ball, while the club house was built over a period of two months by Mr Diggines. Initially, Exeter Golf Club had a membership of 96, who paid an annual subscription of £1 11s 6d. The course afforded commanding views of the countryside around, from the Wellington Memorial in Somerset to Portland, Torbay and Haytor on Dartmoor. The area was a popular place for walking and Frank Ritter describes, in his book 'An Exeter Boyhood', how he camped up there in 1915 with his scout troupe. After a round, the members, who included Sir Stafford Northcote MP and the Earl of Iddesleigh, would stop in the Panorama Cafe for a cup of tea and a chat about the game. 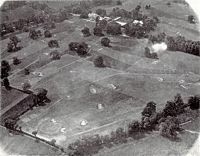 The Exeter Golf Club resided at Pennsylvania until 1929, when it was decided to move to Wear House, Countess Wear, where an 18 hole, 6,200 yard, course could be constructed, and which was not so exposed to the elements. The site in Pennsylvania is now the home of the Hilltop Riding School. NEW COMPANIES EXETER GOLF AND COUNTRY CLUB, LTD.— Registered: February 13,. 1928. Capital: £20,000 in £1 shares. Objects: To acquire the. Wear House Estate, near Exeter, and to establish, maintain, and carry on golf club, golf course, clubhouse, and grounds for games, athletic sports, and general social purposes. &c. Minimum cash subscription: £9,000 shares. The new course was opened on 30 March 1929, by the Mayor, Dr J S Steele-Perkins, with the Sheriff and members of the Corporation in attendance. 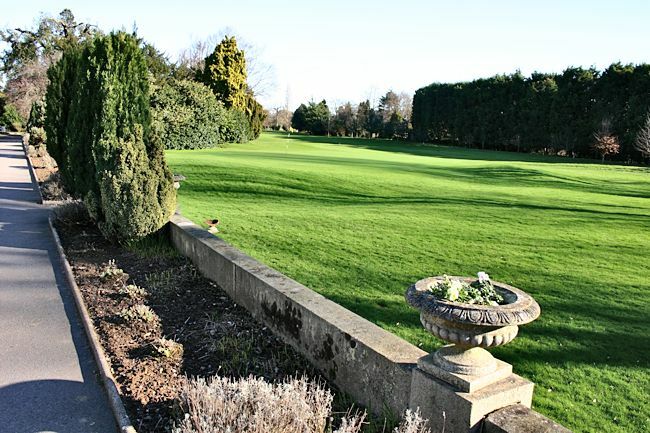 The new course included three tennis courts and a new club house based in the extensive, 20 bedroom, Wear House. In those days, there was still a difference between artisans - as they put it - and members, so separate facilities for the working man were proposed with a fee of £1 per member. The course was designed by James Braid and constructed by John R Stutt - the bunkers of course, had red Devon sand lining them. The Club flourished during the 1930's, but it was the war years that brought about the greatest threat, and changes to the course. When it was decided by the Allies that a force would be assembled in Southern England to invade Europe, sites for assembling and dispatching stores to the invasion force were needed. Exeter Golf and Country Club was chosen as the site for the main US Navy Stores Camp that would be the largest in the country. 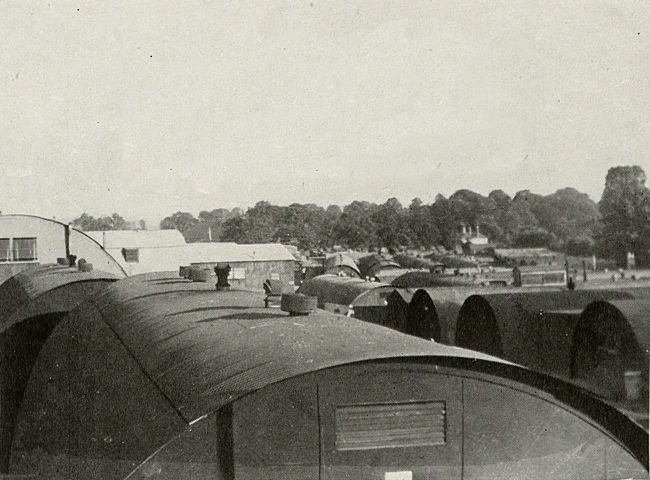 In September 1943, the advanced guard arrived and proceeded to turn 50 acres of the course into a 'mud hole' - huts and warehouses were built, seven miles of road laid, and equipment to supply the D-Day invasion counted, sorted and stored. During this time, nine holes were retained for the use of members, along with a few US Service Personnel who were recuperating from injury and illness in Wear House. The heavyweight boxer, Joe Louis visited the club when serving with the US Forces during 1944. When hostilities had ceased, and the land was handed back, the damage to the land was repaired and a new 18-hole course was designed and built by James Braid. The new course measured just over 6,000 yards. The post war years saw some success for the club - in 1950 and 1951, they won the Devon wide Palairet Trophy. In 1954, Norman Sutton became the clubs professional - he had previously been short listed for the Ryder Cup Team. Also in the 1950's, the Artisans' Club which had been housed in the Mews was closed and a club shop was opened in the building. The Artisans were disbanded and absorbed into the main club situated in Wear House. It was in the 1970's that Dutch Elm disease ravaged the many trees on the course, and as in other parts of the south of England, the landscape was changed in a dramatic way. This made the course easier for those prone to driving into the trees! The first Pro-Am Tournament was held in 1976 and raised £700 for Save the Children. The course has been modified since the 1950's, and Donald Steel, an internationally renowned golf course designer was employed in 1993 to upgrade the course to take account of modern equipment that had seen the length of a drive increase by a significant amount. Now the Exeter Golf and Country Club offers a range of facilities, including an outdoor swimming pool, saunas, steam room and jacuzzi, as well as squash and tennis courts. It also has had a long and distinguished history in Exeter. 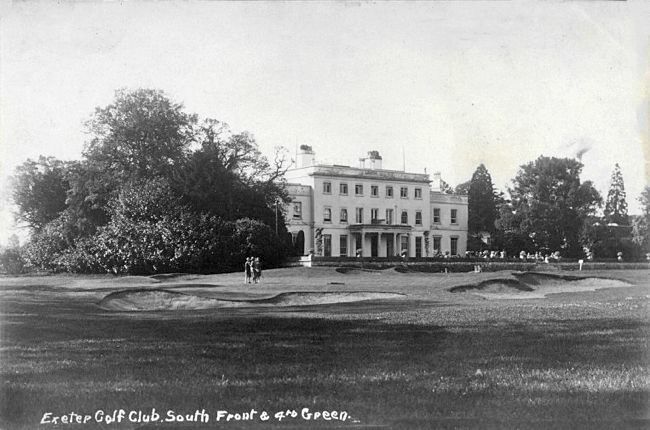 Source: Exeter Golf Club - Centenary Year History, An Exeter Boyhood by Frank Ritter.Exeter and Plymouth Gazette, Western Times and the Western Morning News. © 2006 David Cornforth - not to be used without permission. Sheep graze Exeter golf links, Pennsylvania. Panorama from golf links, Pennsylvania. Club House - golf links, Mary Pole Head, Pennsylvania. View towards North Devon from the golf links. 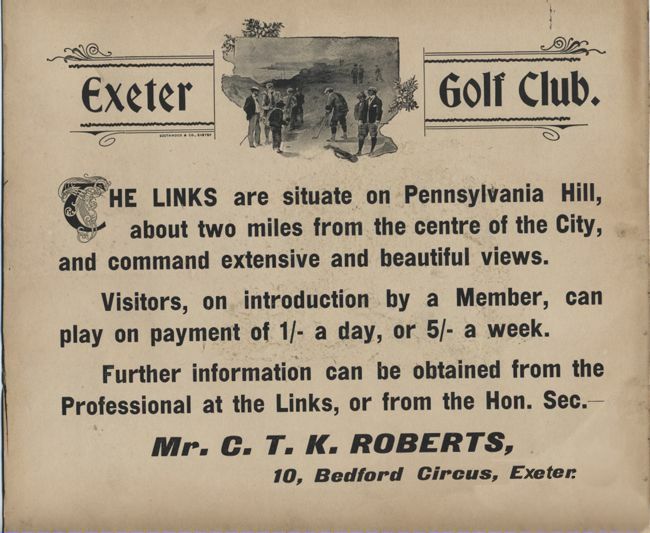 A card promoting the golf links - circa 1905. Wear House sometime in the 1930s. 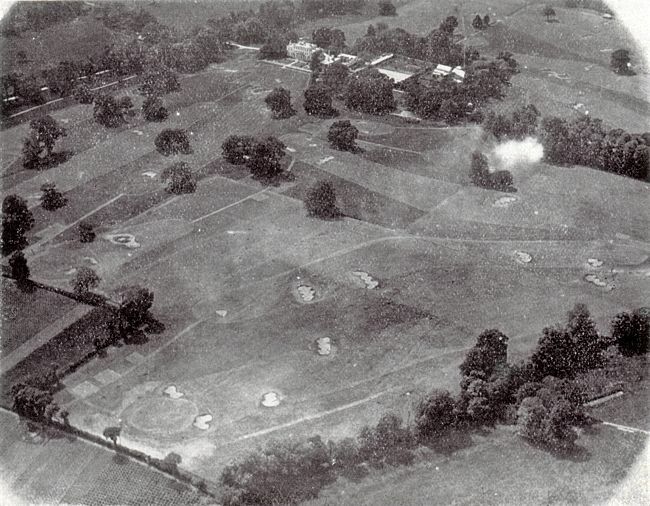 The Countess Wear course from the air - early 1930s. 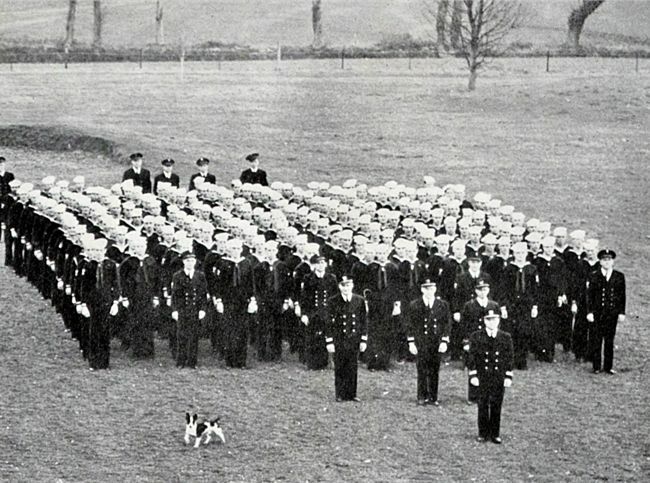 Wear House when it was shared with the US Navy Camp. Company D, US Navy on one of the greens. 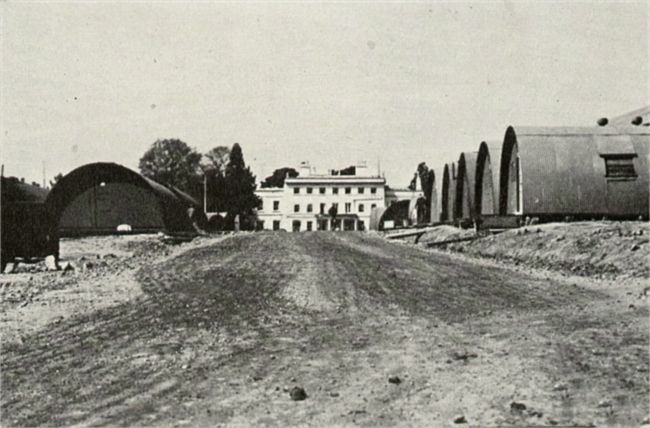 The US Navy huts covered some of the greens. Wear House overlooks this green. The entrance to the first green.